This fun KAL (knit-a-long) hat is the perfect winter pick-me-up! 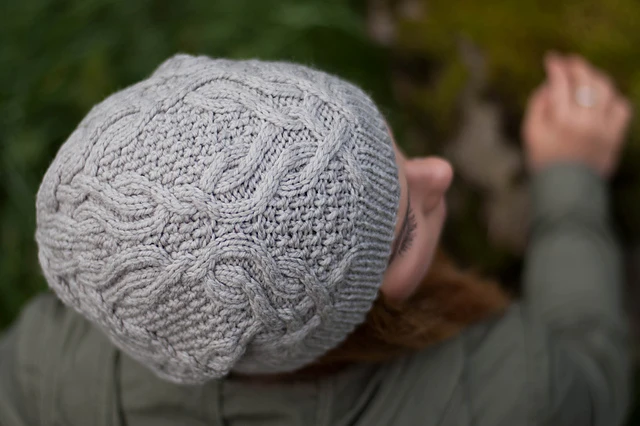 Spice up your knitting knowledge with some new techniques: learn how to make cables without a cable needle and try the alternating cable cast-on. The knitter should know the following skills: Knit, purl, knit front and back (kfb), knit two together (k2tog), knit through the back loop (k1tbl), slip slip knit (ssk), knitting in the round, and reading a chart. A basic working knowledge of cables is helpful, but not required.